There’s nothing better than some ice cream or an ice pop on a hot day to make you feel like a kid again. So what happens when you combine those favorite summer treats with one of the world’s most beloved candies? Let’s just say your summer days are about to get sour — then sweet. 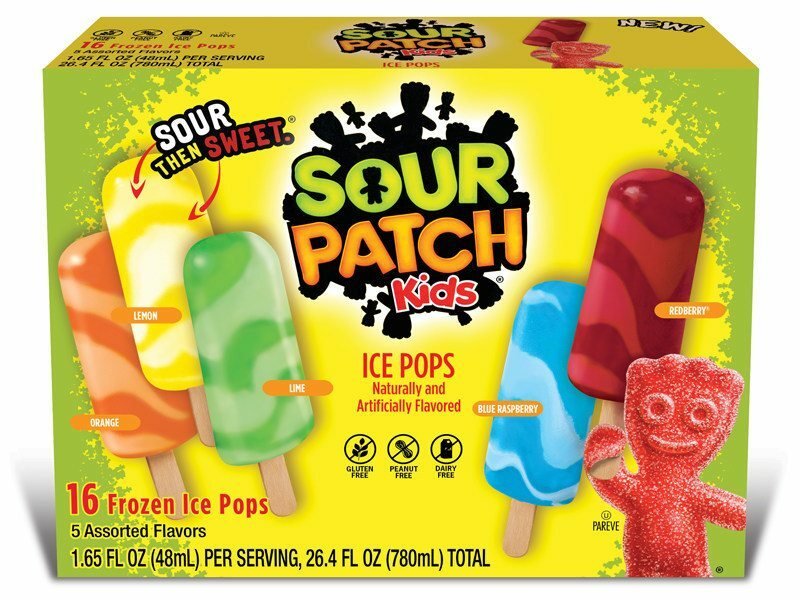 Now in stores, the makers of Sour Patch Kids have introduced not only Sour Patch Kids ice cream, but Sour Patch Kids ice pops, too! Not to be over-dramatic, but, uh, say what? Yep. While the ice cream is only available at Walmart, the handheld frozen treats are now in stores nationwide. Delish first reported that the ice cream is called Sour Patch Kids Red, White & Blue and has just started to hit Walmart’s shelves. The 1.5-quart tub is a mix of lemon sorbet and vanilla light ice cream with a Redberry swirl and — wait for it — actual chunks of the gummy candies! If ice cream isn’t your thing, the new Sour Patch Kids ice pops come in a variety of flavors, including blue raspberry, lemon, lime, orange and Redberry. While it doesn’t look like you’ll be finding any actual Sour Patch Kids in these, they are supposed to be both sour and sweet. “What makes this product shine is the sour swirl we infused into a sweet, frozen base, giving Sour Patch Kids candy fans the perfect ‘sour then sweet’ flavor profile,” Jerry Law, J&J Snack Foods senior vice president said in a press release. The ice pops will be sold at stores across the U.S. and Canada. This is not the first time Sour Patch Kids has made its way into the frozen food arena. A previous partnership with Baskin-Robbins gave us a taste of just how amazing Sour Patch Kids ice cream could be. 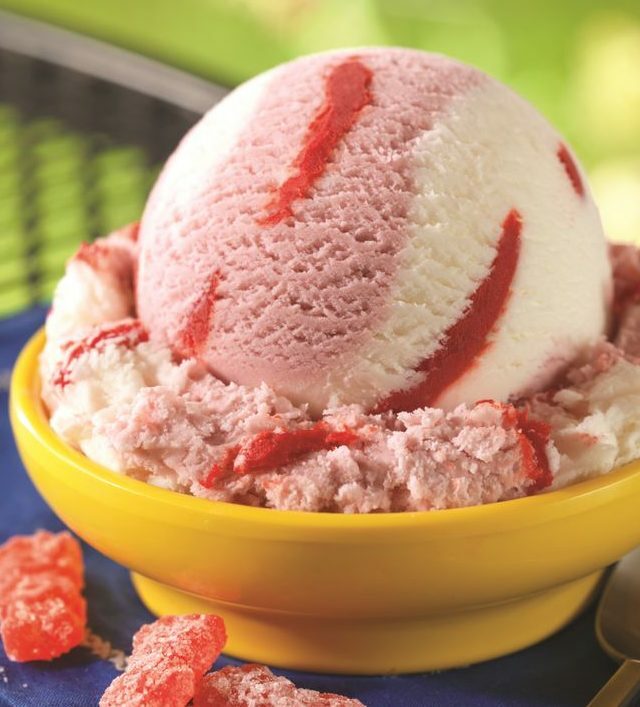 That flavor, which was only served in April 2016, featured red raspberry and marshmallow-flavored ice creams, along with the sour Redberry swirl you can find in the new Red, White and Blue variety.